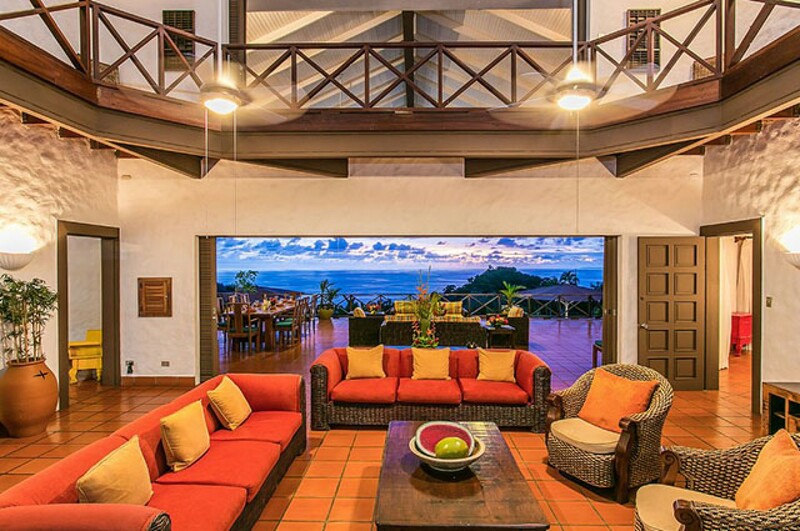 Welcome to Pelicano, a 9-bedroom oceanfront villa based in Manuel Antonio, in Costa Rica. This luxurious and secluded villa can accommodate up to twenty-two guests across its expansive exteriors and lavish interiors. 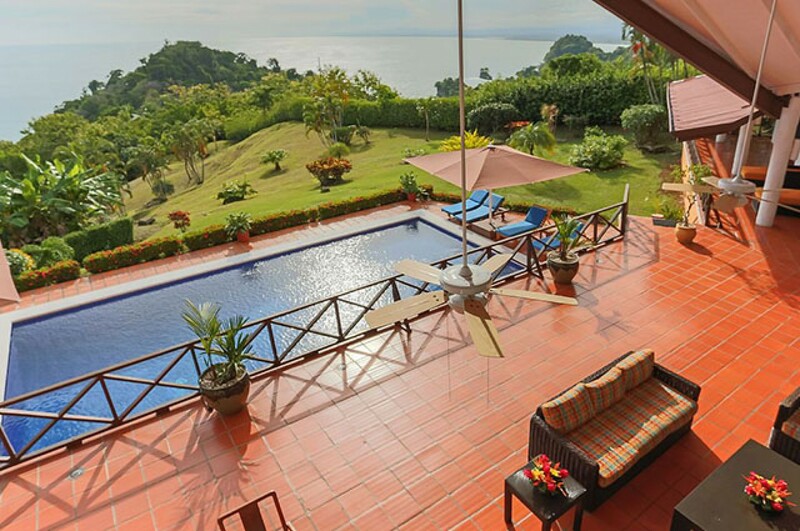 Pelicano offers guests your own private villa that has the feeling of a resort as it is centrally embedded on five acres of tranquil land in the heart of Manuel Antonio. This Villa is one of the largest and most luxurious properties with over 10,500 sq. ft. of living space and is perfectly located within walking distance to everything you may need during your relaxed holiday here. 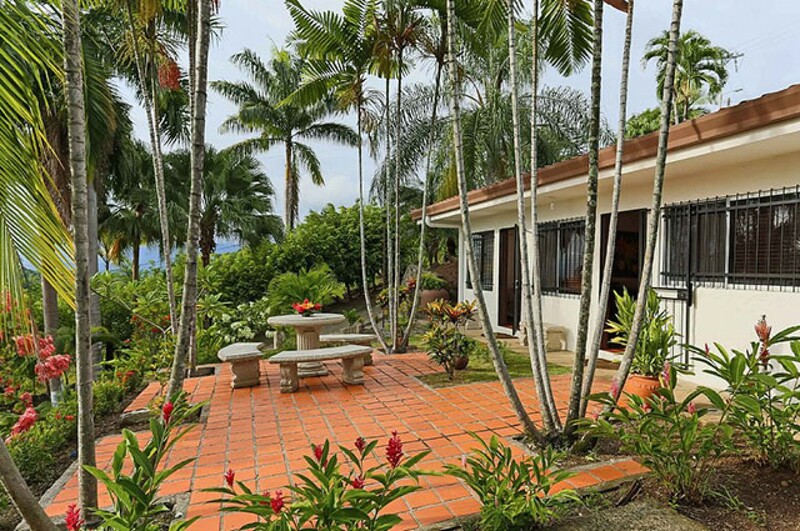 Situated on five acres of lush tropical land, this home embraces a serene and peaceful environment. The land flourishes with colorful plants and flowers that tinge the air with sweet fragrances. The vivacious vegetation is the perfect backdrop for the villa as it perches looking out over the opulent turquoise waters. Around the borders of the villa, you will discover the lush rainforest that holds a symphony of wildlife. Monkeys run through the mango trees, and toucans sing from the nearby cecropias. Birdwatchers and animal lovers will be in heaven. Within the surrounding gardens are mango trees, banana plants, starfruit, papaya trees, citrus, orchids, and a whole plethora of other tropical flora. Walk out onto the large terrace at the front of your villa and soak in the surrounding landscaped gardens and ocean views. Slip into the refreshing waters of the large infinity swimming pool and listen as the jungle faintly chatters with wildlife. The pool is situated down from the terrace in the lush garden and is at the front of the property, soaking up the most indulgent views of the ocean. After your refreshing swim, why not sunbathe out on the sun loungers as you spend the time relaxing while reading a book or chatting with family and friends. For breakfast, you can dine alfresco on the large terrace. Maybe pick some delicious fruit from the tropical trees in the garden. You can ask your professional Chef to prepare this meal for you as you mix up some tangy drinks. 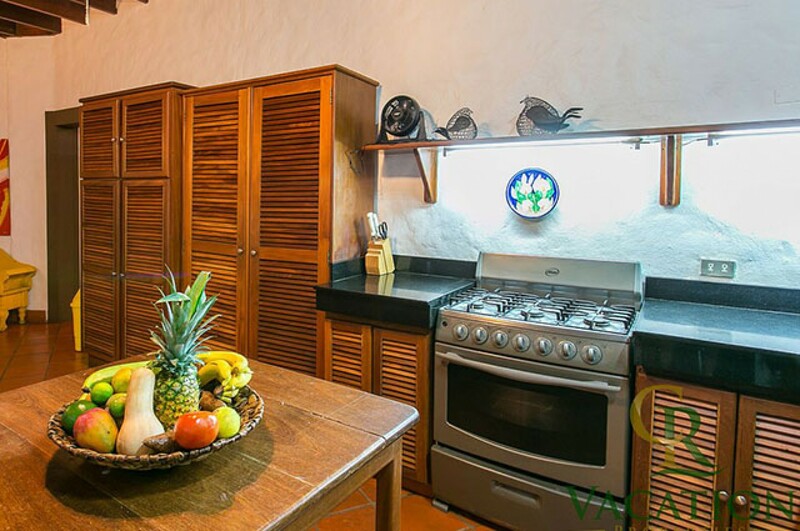 Villa Pelicano Private Estate would not be a First-Class Estate without providing your own Private Chef to prepare up to two meals per day. The Chef purchases the freshest ingredients from local vendors – butchers and fisherman, where typically only Restaurants shop. Saturday mornings is the day that he goes to our Farmers market and selects the best vegetables, fruit and high-quality produce just for you. The villa is uniquely built and embraces an open concept design in its interior spaces. The room is fitted with high vaulted ceilings, warm red tiles, white pristine walls and each embraces the views this surrounding area has to offer. 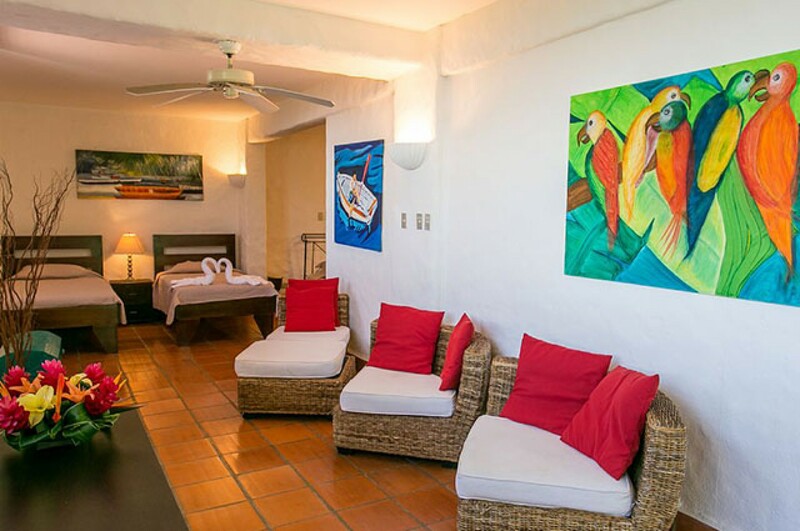 Pelicano includes the main villa and an additional casita or guest house. Walking into the main living area in the main villa from the expansive terrace, you will discover the main living area. This living room has a two-story cathedral ceiling and features a luxurious wraparound balcony which is completely open to a spacious patio overlooking the pool and the Pacific Ocean. It is very spacious and flooded with natural light due to the open terrace blending seamlessly with the room. The kitchen comes fully equipped and ready for you to use if you wish. The second level of the home is very open with extra seating areas to cater for all your guests. There is a balcony looking out over the ocean. Here is the perfect spot to indulge in some relaxing yoga or just taking in the spectacular views. 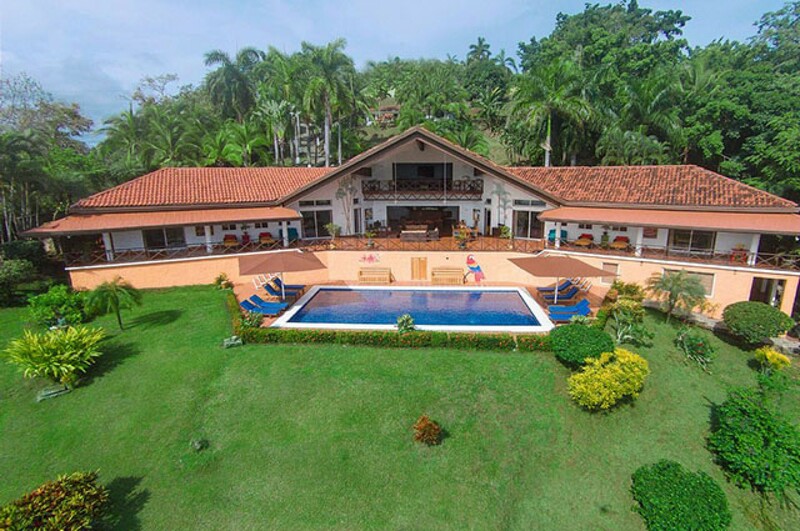 This large Villa is comprised of 9-bedrooms in total. All bedrooms are always fully air-conditioned to ensure a comfortable temperature and have large verandas to take in the panoramic views and to see the monkeys and other various types of wildlife passing through the trees. There are four bedrooms located on the first floor, which are all masters, each with King-Sized beds, high vaulted ceilings, spacious lounging areas and are fitted with glass sliders allowing you to feel the fresh ocean breeze. The fifth and sixth bedrooms are located on the second floor of the main villa. The fifth bedroom features two queen-sized beds and two single beds. It has a private seating area, and a veranda facing the jungle. 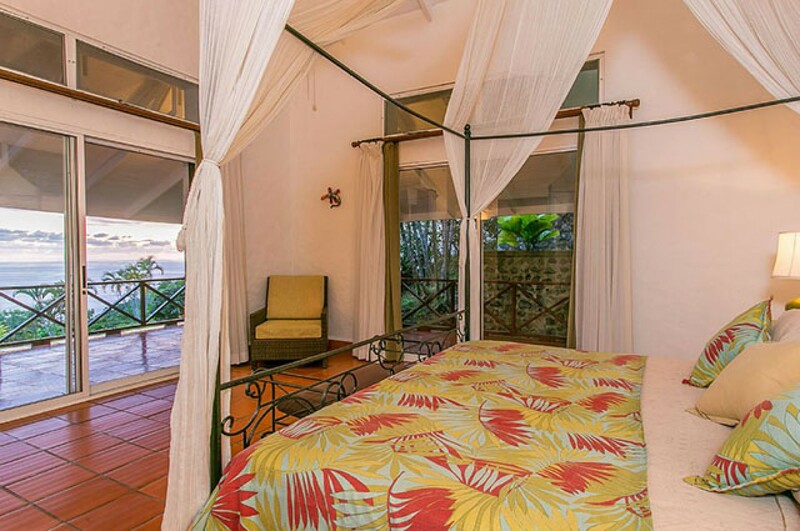 The sixth bedroom has one king-sized bed with a veranda facing the jungle. 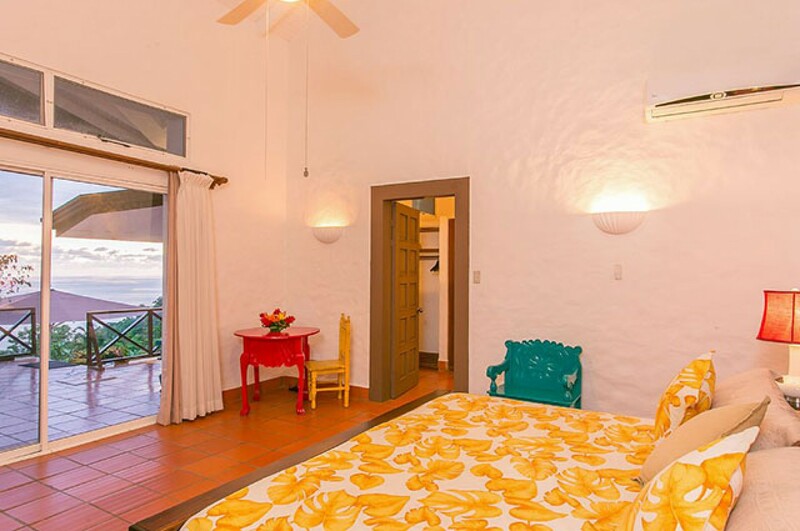 The additional Casita consists of a three-bedroom guesthouse. Two of the bedrooms have large double beds and there is also a one-bedroom suite with a queen-sized bed. The guesthouse features its own private kitchen and living area. 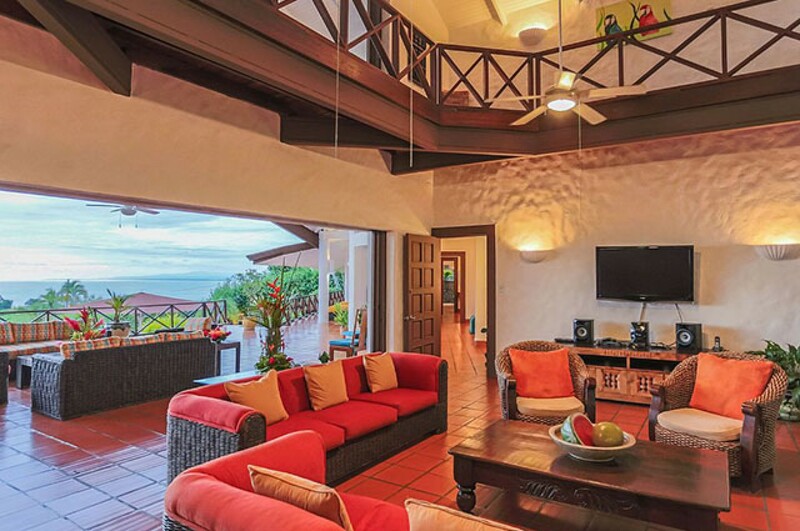 Located off the living area there is a spacious patio where you can enjoy views of the ocean. 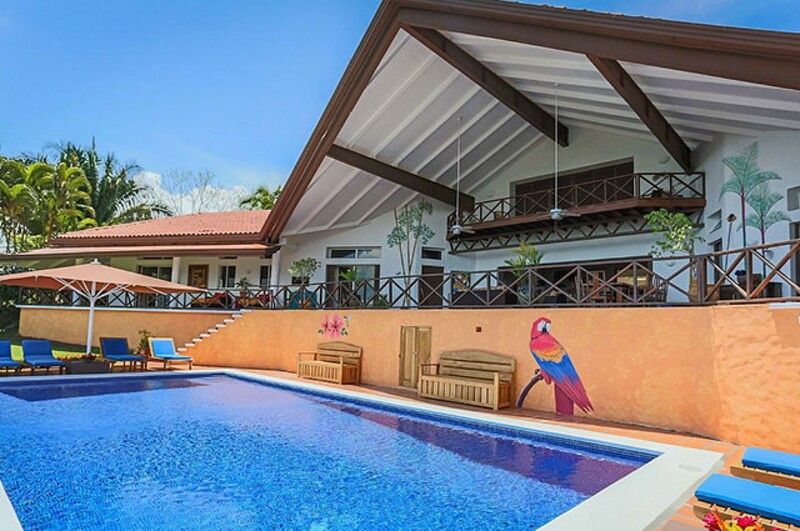 Pelicano is based in the heart of Manuel Antonio, in Costa Rica. This Villa is one of the largest and most luxurious properties with over 10,500 sq. ft. of living space and is perfectly located within walking distance to everything you may need during your relaxed holiday here. 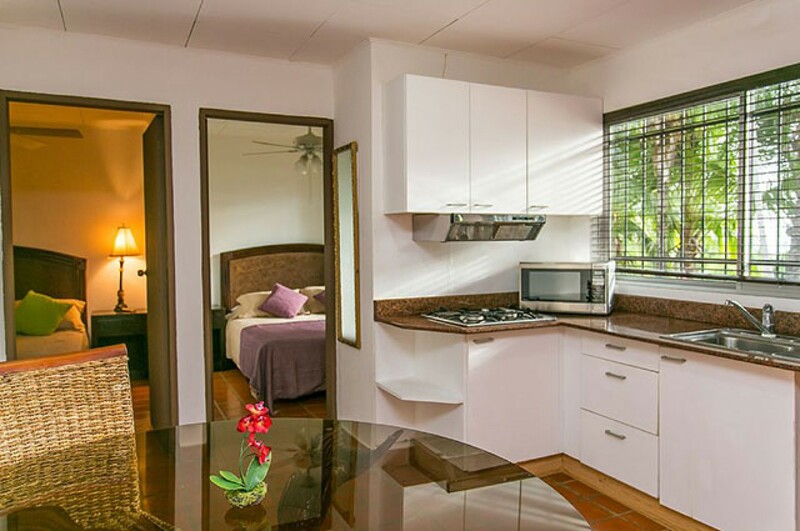 There are many fine dining restaurants, shopping plazas, a vibrant nightlife, gym, and so much more within a short distance of Villa Pelicano. This convenient location is within minutes’ drive of the bustling fishing village of Quepos as well as our very popular National Park. If you want to explore some of the local beaches to spend a day on the sandy shores, then the Main Beach area is a ten-minute drive away. We do not recommend renting cars as transportation is very easy. Taxis are as abundant as they are in New York City and our public bus system runs every 20 minutes and only cost 75 cents. You can catch the bus right in front of the Villa. Bedroom 1 Master Suite Luxurious King-sized bed, Air-conditioning, spacious lounging areas, glass sliders allowing you to feel the fresh ocean breeze, Garden Views. Bedroom 2 Master Suite Luxurious King-sized bed, Air-conditioning, spacious lounging areas, glass sliders allowing you to feel the fresh ocean breeze, Garden Views. Bedroom 3 Master Suite Luxurious King-sized bed, Air-conditioning, spacious lounging areas, glass sliders allowing you to feel the fresh ocean breeze, Garden Views. Bedroom 4 Master Suite Luxurious King-sized bed, Air-conditioning, spacious lounging areas, glass sliders allowing you to feel the fresh ocean breeze, Garden Views. Bedroom 5 Two Comfortable Queen-sized beds and two single beds, a private seating area, Air-conditioning, Access to a private veranda facing the jungle. Bedroom 6 Luxurious King-sized bed, Air-conditioning, Access to a private veranda facing the jungle. Bedroom 7 Large Double bed, Air-conditioning, Jungle Views. Bedroom 8 Large Double bed, Air-conditioning, Jungle Views. Bedroom 9 One-bedroom Suite, Air-conditioning, Access to Patio, Jungle Views. Fabulous place to stay with our family of 24! I stayed in Pelicano on my recent trip to Costa Rica. 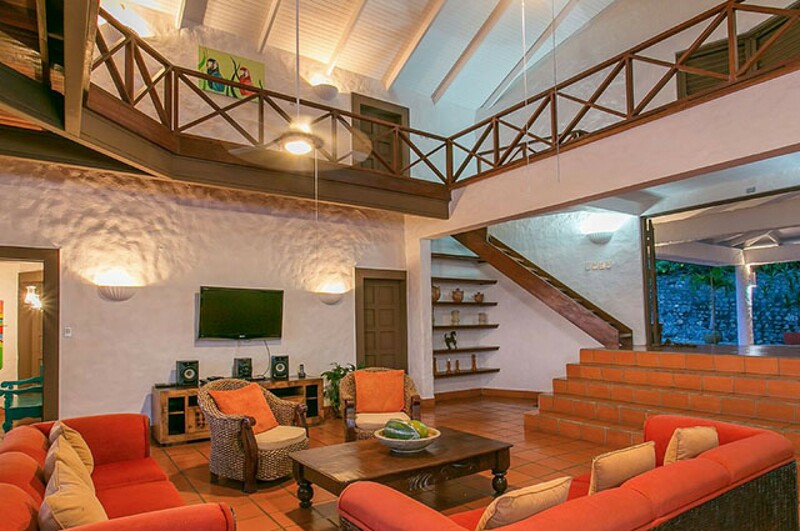 This is villa is so spacious and the perfect villa for a large family or big groups. 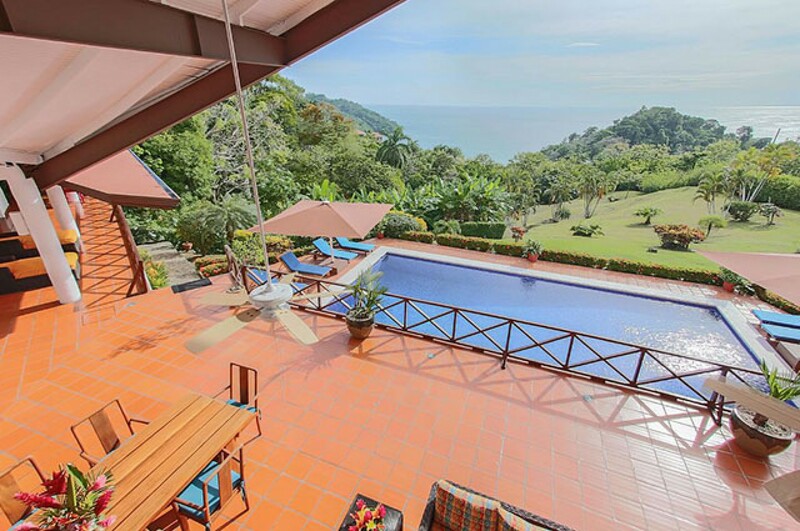 The location is directly in the centre of Manuel Antonio. The first thing I noticed here was that I was in the middle of nature, even though Manuel Antonio is a good size town you still feel like you are in the middle of the jungle. Howler monkeys, iguanas, slots colorful birds and so much more are a frequent sighting from the villa. Anna is the chef and she cooked us delicious meals. I would recommend a rental car as even though you are in the centre there are lots of steep hills around the area and you do have to go downhill to access the beach. The upside on that is you have stunning views from your villa perched on the hillside in Maunel Antonio. 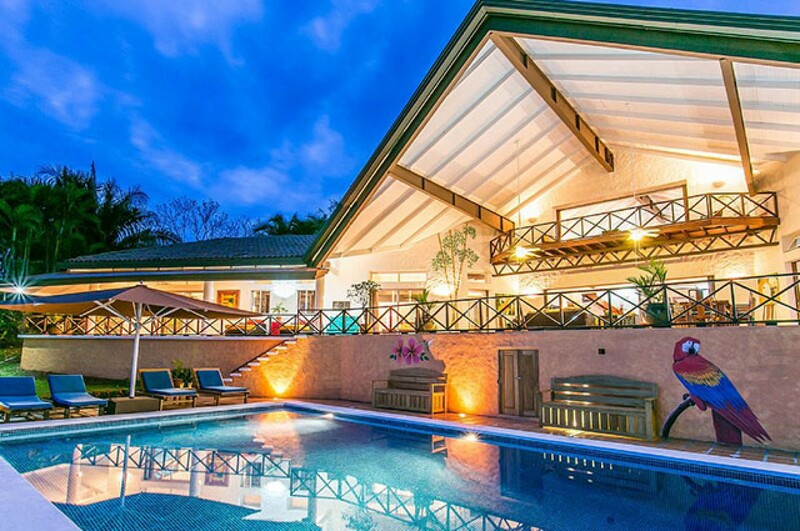 I stayed at Villa Pelicano on my recent trip to Costa Rica. 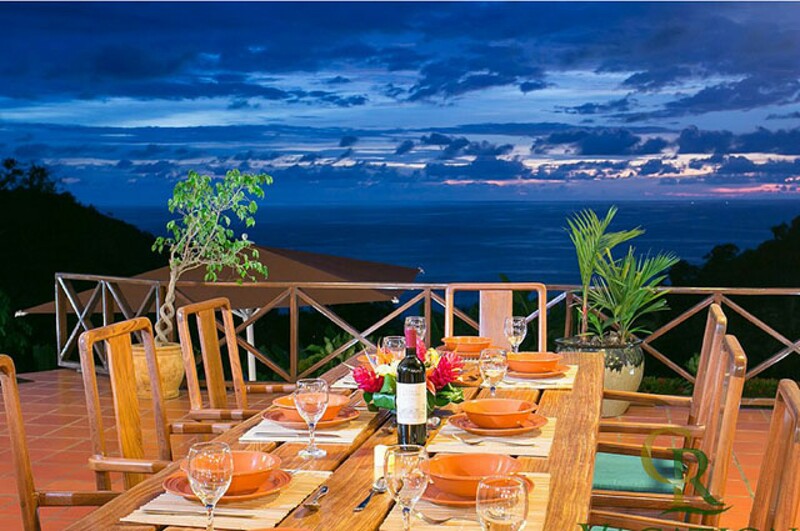 Being in one with nature is what this villa is all about. The outdoor living space and large pool is ideal for a large family. 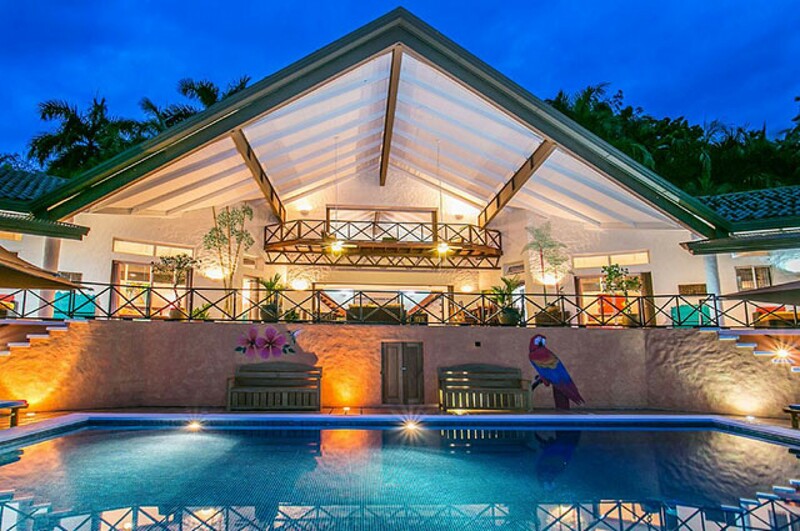 With 9 bedrooms in total this villa is one of the biggest in the area. 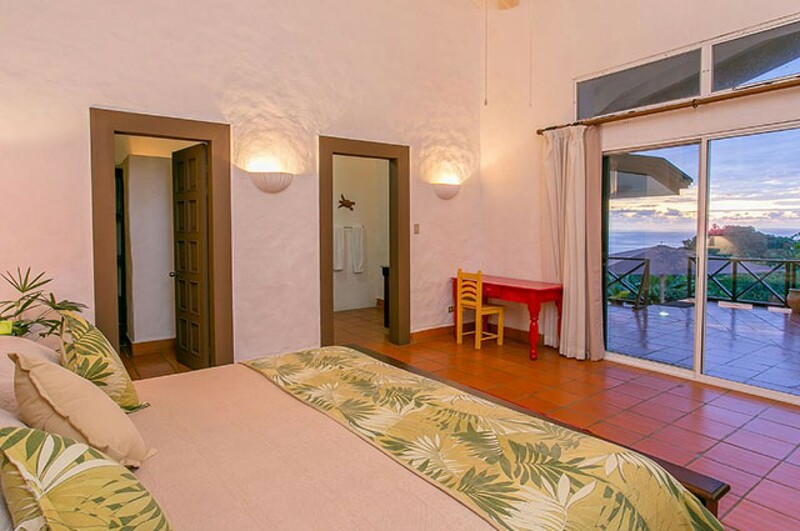 The bedrooms are colorful offering wonderful views. On the main level there are 4 bedrooms - 2 on either side of the living space. What is great about these is that they interconnect making it ideal for a family who want the kids nearby. Staying here you will see Monkeys and an arrange of wildlife including some stunning birds. The garden also features some lovely fruit trees which your chef will use. 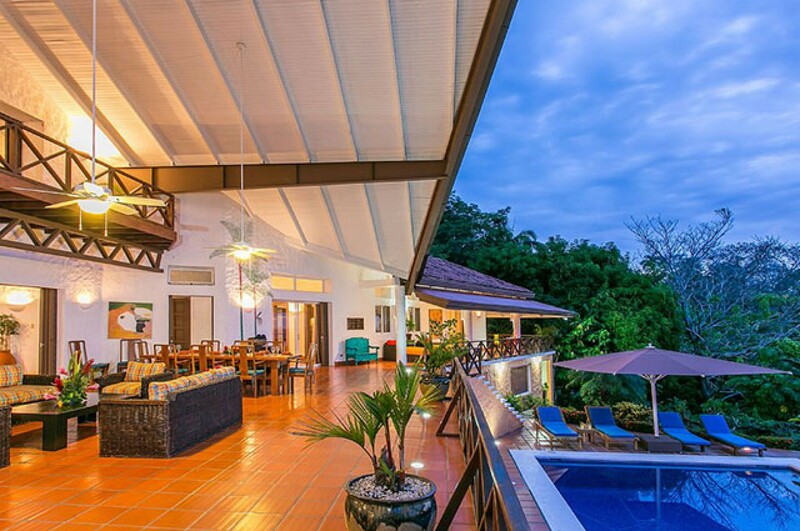 Being in the heart of Manuel Antonio is a huge advantage of this villa and the beach is just a 5 minute drive away. The only downside is from time to time you can hear a little road noise.